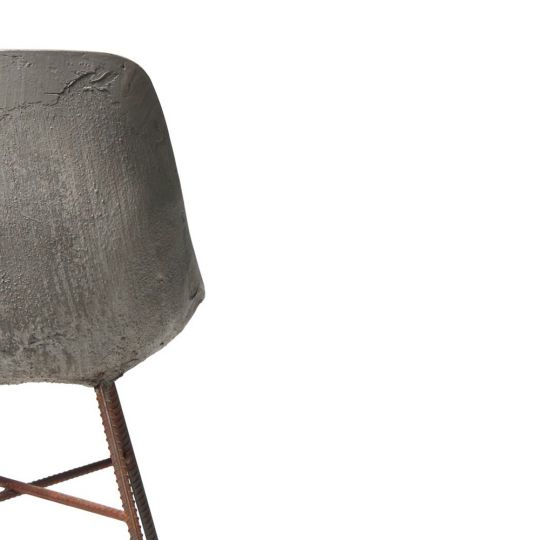 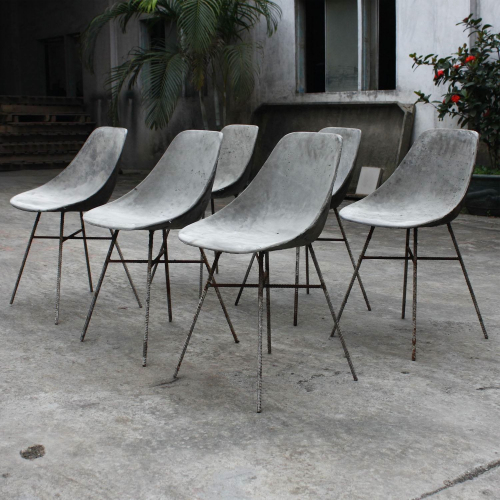 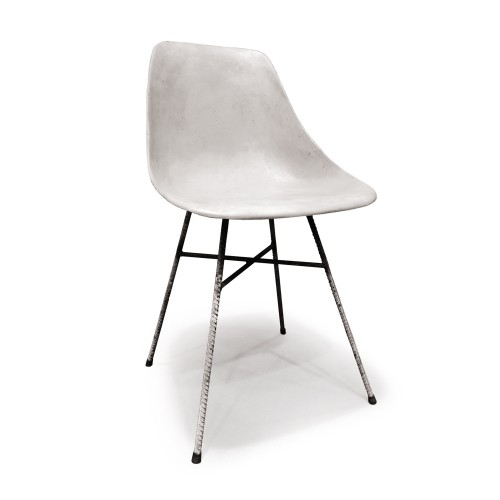 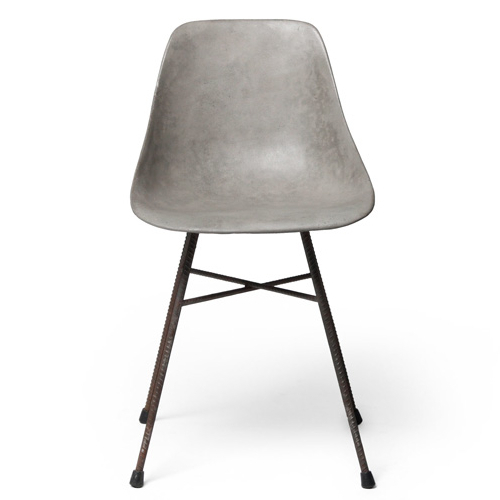 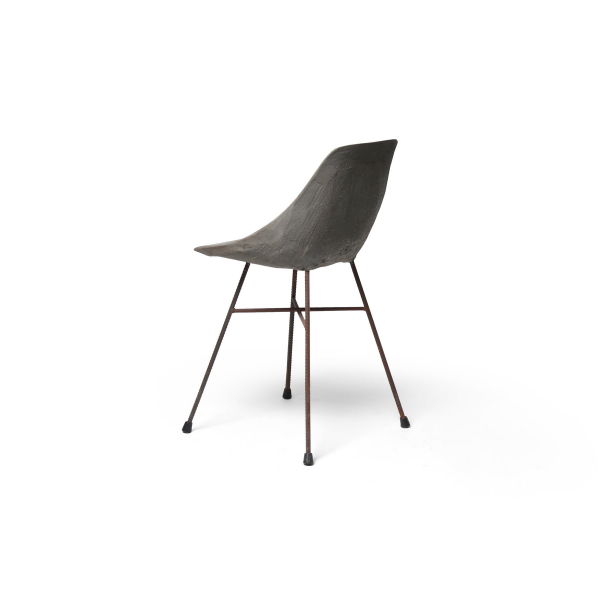 Part of the Hauteville collection from Lyon Beton, this stylish dining chair is just one of the collection of industrial inspired designer concrete furnishings from the talented design duo Henri Lavallard Boget and Julie Legros. 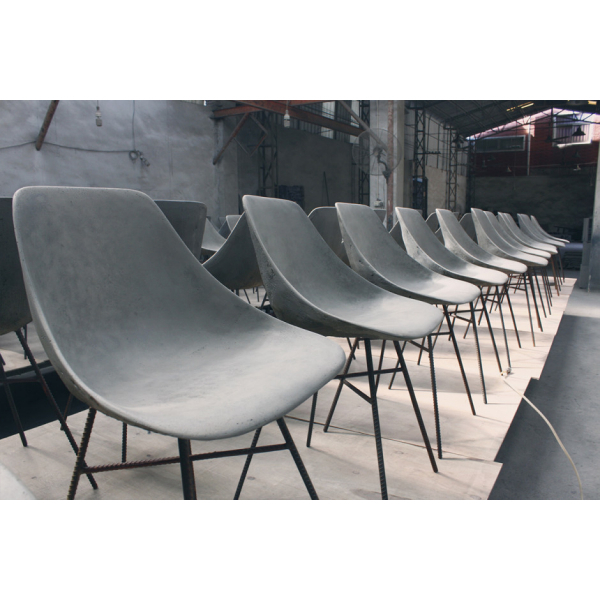 Made by hand from a specially formulated concrete and stylishly fashioned into this designer classic, reminiscent of the bygone modernist era of the 1950’s. 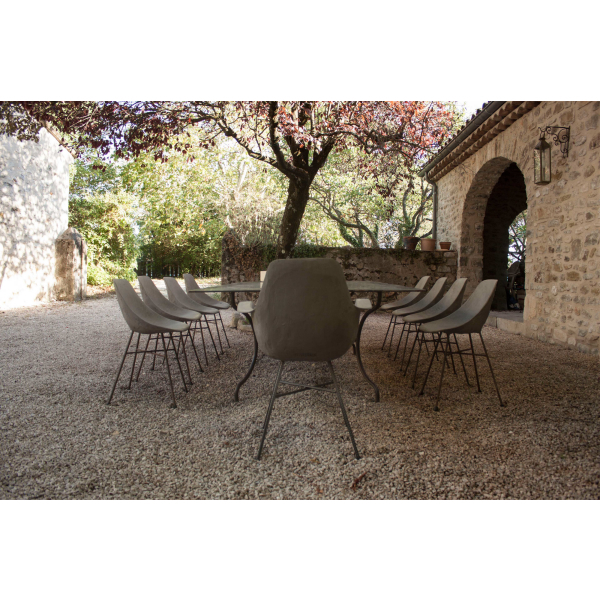 The rugged frame of twisted rebar is home to the smooth face of the concrete seating area, with the back of the chair keeping a rough natural textured appearance. 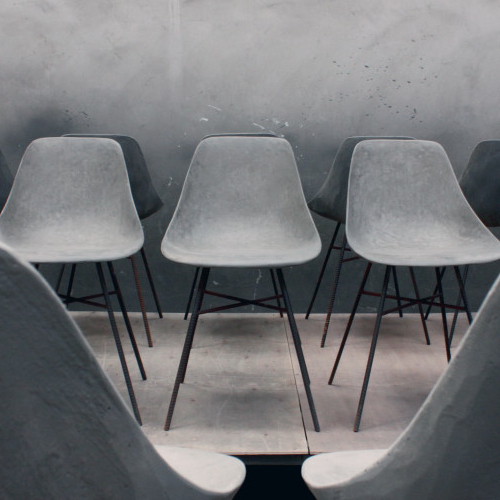 Ideally suited to the current modern industrial design trend and is a perfect fit with the rest of the collection in the Lyon Beton range. 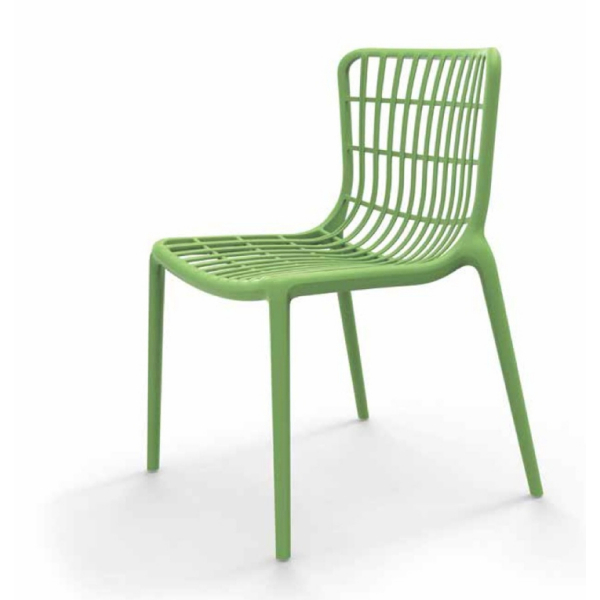 This may be used indoors or externally but is not recommended for continuous outdoor use, due to the steel frame. 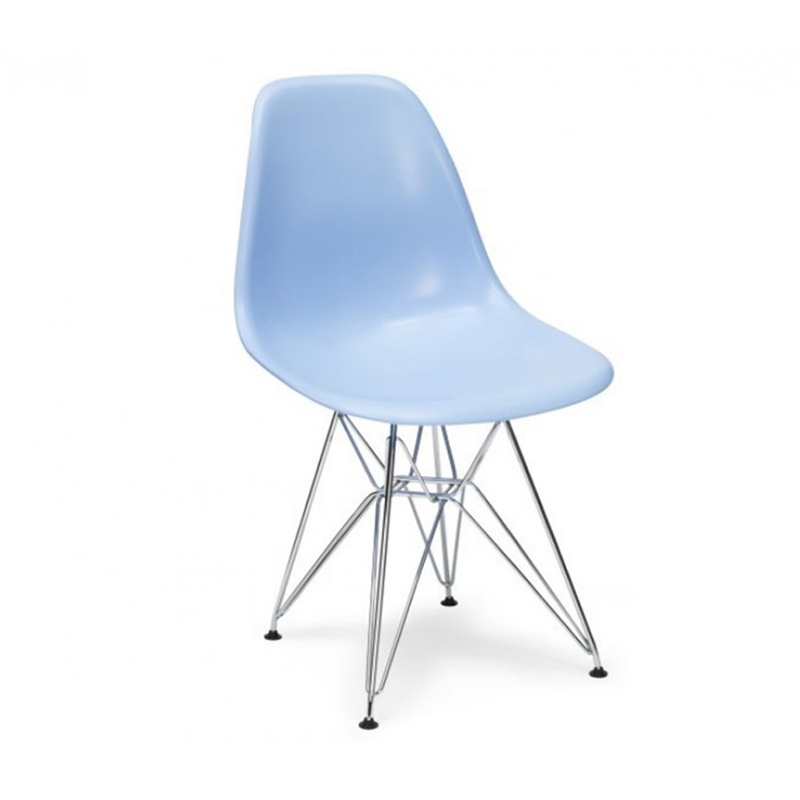 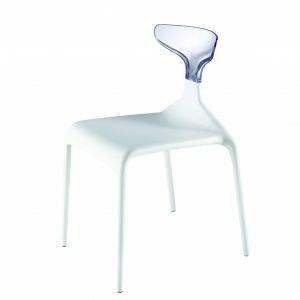 Categories: Dining/ Side Chairs, Dining/Side Chairs.